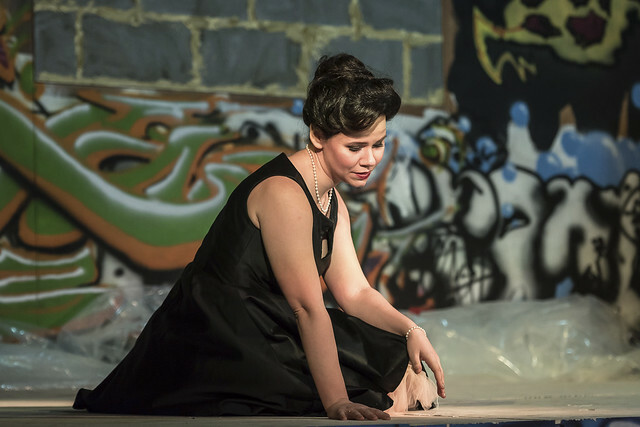 Jette Parker Young Artist Vlada Borovko had just finished a morning dress rehearsal for Boris Godunov when she was told the singer she was covering in La traviata had started feeling unwell. 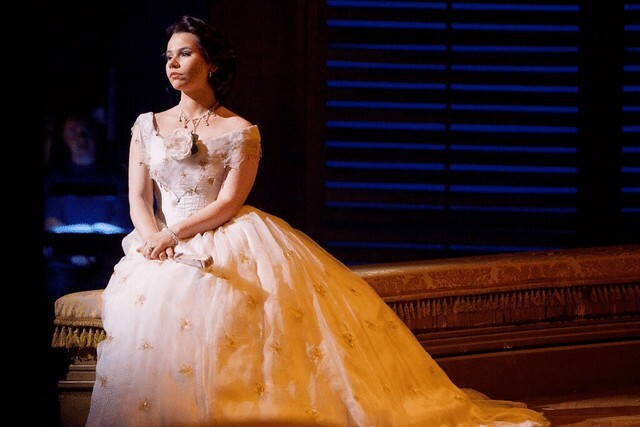 Though Borovko had learned the lead role of Verdi’s classic La traviata for the company, she had never actually performed in the opera before. With only one hour until curtain up, the young Russian soprano was told the singer was too sick to sing at all. She would have to step in. It's moments like this that can launch a young performer into the spotlight – and something the Jette Parker Young Artists Programme trains singers to take in their stride. It's by no means a shadowing internship, but a structured professional programme that prepares singers for life in the opera world, where they could be called to the stage at short notice. The combination of huge talent, hard work and the remarkable luck of being in the right place at the right time first helped Borovko break into the opera world, even at the very beginning of her career. She loved to sing, but with no one around her to guide her into the profession she decided to study foreign languages at the University of Nizhny Novgorod. At the age of 19, she was advised by the jury members at a youth talent competition to start professional training. She wowed them with her ability to hit the high notes in The Fifth Element's techno vocalise, starting with a reworking of Donizetti’s mad scene from Lucia di Lammermoor. But it was special – and as well as recognising her talent, Professor Galina Lastovka at the Conservatory identified a strong work ethic in Borovko. 'She told me: "You're a smart girl and you have talent. I’ll give you a chance". I was determined to succeed.’ Lastovka was a strict, enthusiastic teacher, who would work with her outside of normal classroom hours. ‘I think she really wanted me to be something and she gave me much knowledge which really helped me on the Programme,’ she recalls thoughtfully. Now a long way from Kazan, Borovko hopes to continue to prove her talent when given the opportunity. Currently, she shines as a playful but cunning actress, Mademoiselle Jouvenot in Cilea’s tragic opera Adriana Lecouvreur­. Later in the Season, she will sing the role of Giannetta in Donizetti’s joyous L'elisir d'amore and Donna Anna in Act II of Don Giovanni in the Programme’s summer performance. She will also appear in Verdi’s Requiem at Grange Opera in June. The production is a co-production with Gran Teatre del Liceu, Barcelona, Vienna State Opera, San Francisco Opera and Opéra National de Paris, and is given with generous philanthropic support from the Estate of the Late Arthur Wise and The Friends of Covent Garden. L'elisir d'amore runs 27 May – 22 June 2017. Tickets are still available. The Jette Parker Young Artists summer performance is on 16 July 2017. Tickets will be available from soon. Vlada Borovko appears in the Monday lunchtime recital series at the Swiss Church in Endell Street on 13 March 2017. Tickets are free and will be available here. One of the most thrilling evenings at the Opera - and Vlada was just exquisite. I don't think anyone in the audience that night will forget her performance and I hope we'll see her Violetta again soon.